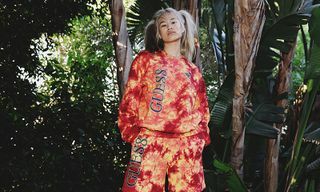 After connecting for a special FW18 tie-dye collection, GUESS and 88rising have teamed up once again on a collaborative drop, this time with the “Joji x GUE88 Ballads” capsule. 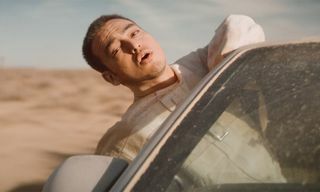 Spotlighting 88rising’s Joji, the drop is composed of a 2-piece T-shirt bundle that commemorates his first full-length album BALLADS 1. 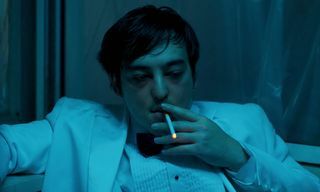 This past fall, Joji became the first Asian artist to top the Billboard R&B/Hip-Hop Album chart with the aforementioned project. 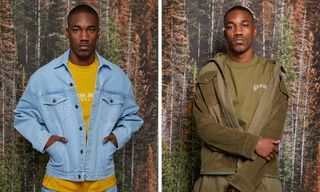 Both tees are detailed with GUESS”s signature triangle logo in addition to incorporating graphics from the BALLADS 1 album art, which Joji hand drew himself. In addition to the T-shirt bundle, the drop will be accompanied by a special “Lost Ballads” VHS tape featuring a 10-minute home video directed and edited by Joji. 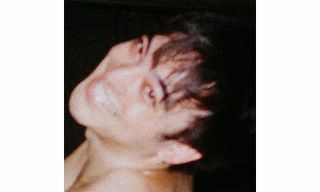 The tape includes a glimpse into Joji’s personal life, snippets of previously-unreleased B-sides from BALLADS 1, a remix to his single “CAN’T GET OVER YOU” by Channel Tres and more. Retailing for $80, can purchase the “Joji x GUE88 Ballads” capsule exclusively on 88Rising’s new webstore 88NIGHTMARKET beginning April 16. For more on 88rising, revisit our exclusive interview with its core members Joji, Rich Brian and August 08 talk alien encounters and more here.